Twenty different European governments have signed up to the European Convention on Pet Animals, ETS 125, which aims, amongst other things, to reduce the suffering of dogs from exaggerations inflicted by man. These exaggerations cover such aspects as overlong backs, excessively short legs, shortness of skull, excessively long ears, markedly folded skin, the pursuit of great size and weight to the detriment of the dog's well- being, abnormal size and form of eyes, etc. It lists breeds where it is considered that suffering exists: Dachshunds, Basset Hounds, Bulldogs, Pekingese, Cocker Spaniels, Cavaliers, Pugs, Chinese Shar Pei, Bloodhounds, Chow Chows and many others. Britain has not signed up, following lobbying to DEFRA by the KC, which believes that the best way to succeed lies in the steady revision of some breed standards. Is this 'interference from Brussels' as some knee-jerk responders have claimed, or is opposition here itself merely the manifestation of wallet-led self-interest? The judging of livestock, mainly by eye, and guided ideally by a well-worded written standard, is always going to have a strongly subjective element for we are all individuals with conscious bias and subconscious preferences. Having been involved in the breeding and showing of pedigree farm animals I find comparatively a greater number of stumbling blocks in the judging of dogs at conformation shows. I am aware too, of more knowledgeable judges on the flags at houndshows and better trained judges on the continent. 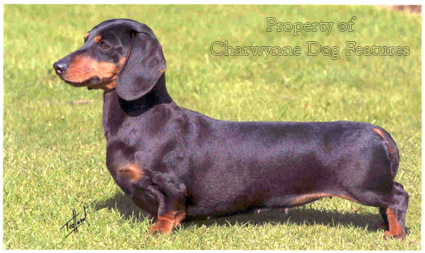 I also sometimes come across widely differing interpretations of the written description of what is desired in pedigree breeds of dog between judges, a breed club and a number of the breeders. Far too many breed standards are not exactly masterpieces of the written word, some are open to misunderstandings, a few to abuse. And if words are not used accurately, to convey clear guidance to both breeder and judge, then it is possible for a standard to do more harm than good. It has been difficult throughout this century to get unanimity of view over the wording of breed standards in Britain, especially when a popular breed has a multitude of breed clubs, sometimes geographically far apart. But it is not really fair to criticise a judge, especially a multi- or all-breed judge, if, assuming the judge makes himself familiar with the various breed standards before undertaking his appointed role, a breed standard means something to him which is different from the understanding of the exhibitors or breed clubs involved. I do not believe in criticising any judge for a decision in which he alone has to place in order of merit a collection of good dogs. It is irrational to enter any competition with a fallible human being making judgements and then not be prepared to accept his decision. But it is also irrational to expect that judge to assess a breed on the guidance provided by a vaguely-worded, imprecisely-phrased or just inadequate breed standard. And some of our pedigree breed standards simply do not withstand scrutiny. Some contain guidance which is obviously ignored. In the gundog group, the Cocker Spaniel's ears are described as "extending to nose tip", I see many winning with ears long enough to wrap around the nose tip. The phrase "extending to" can only mean one thing, unless qualified. The American Cocker Spaniel is expected to have ears extending to its nostrils. Those I see have ears extending way beyond the nostrils, which must contravene the standard. In the hound group, the Beagle is required to have ears "reaching nearly to end of nose when drawn out". It would surely be reasonable therefore to expect the Beagle's ears to be only very slightly shorter than a Cocker Spaniel's. But this is, in reality, not so. The Basset Hound is expected to have ears "reaching well beyond end of muzzle of correct length, but not excessively so". 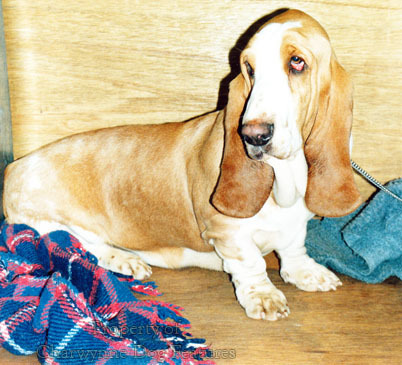 Every Basset Hound I see in the show ring has excessively long ears. 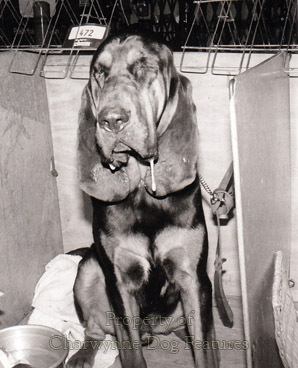 The Bloodhound is supposed to have eyes which are not sunken but a high proportion of the show Bloodhounds that I see have sunken eyes. What is the point of having a breed standard if its wording is ignored? In every group there is considerable vagueness in the wording of the standard. The Field Spaniel should have a moderate stop, moderately long ears, legs of moderate length, stifles moderately bent and ribs moderately well sprung. I'm all for moderation, but isn't its use here...immoderate? Judges of this breed however are asked to regard any fault with a seriousness in exact proportion to its degree. How can you judge in exact proportion to its degree a stop described only as moderate? A Brittany and an English Springer Spaniel dog can each be 50 cms high. The former however is described as small and compact, the latter as symmetrically built and compact...but not small. What is the point of calling a Brittany small in this way? You can get small Great Danes and small Yorkshire terriers and all Yorkshire terriers are small when compared with a Brittany. Does the word "small" in the interim standard of the Brittany have any worth? The chest of the Irish Setter is expected to be as deep as possible; is that really intended? …. ..as deep as possible! The shoulders of a Curly-coated Retriever are required to be very deep, unlike any other retriever, but what does that mean to a beginner in the breed, or a novice judge? Luckily for the dog, the neck of the German Wire-haired Pointer is expected to be "of adequate length". The neck of the American Cocker Spaniel has to be long and muscular; so does the neck of the Irish Wolfhound, the Pharoah Hound, the Greyhound and the Whippet. Are we seeking in these breeds a neck that is other than expected? The Bloodhound's standard does not waste words on the subject of the neck, it says it should be. .."long". I'm all for brevity but, truly, can just one word be enough to describe with any meaning apart of a dog's anatomy? No other breed club thinks so, evidently. The Bulldog's head needs over 270 words to describe it, but some might say not to the Bulldog's benefit. Many of our breed standards were drafted when the breed was emerging and a word picture was needed in order to get fanciers to breed to type. 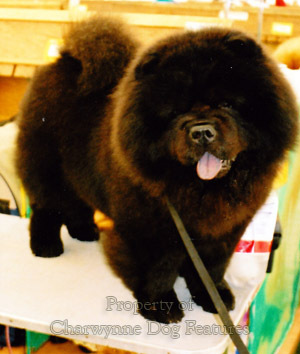 But for a breed which has been recognised for fifty years or more, there are other considerations too. Being more interested in dogs as functional animals and very much wanting them to be true to their heritage, I always want to know certain definite facts when I come across a breed I'm not familiar with. These are: its origin, its purpose, its essential 'type', its key characteristics and on which of these it should principally be judged. Medium-sized eyes, medium- length neck, teeth ver1l strong, moderately large ears, chest strong and deep, moderate stop, well-turned stifles, hocks well let down and forelegs of medium length convey no impression of one breed rather than another to me. I want to know why its a breed in its own right. I like therefore to see descriptive phrases such as:.. ."hunting ability of paramount concern" in the Weimaraner, ..."generously endowed with natural gun dog ability" in the Flatcoat, ..."a merry hound whose essential function is to hunt...by following a scent" in the Beagle, ..."bred for hunting fur and feather, pointing and retrieving from land and water" in the Vizsla, ..."bright, enquiring expression is a distinctive feature" in the Beardie and. .."giving the appearance of a happy dog, full of character" in the Wheaten Terrier. I can more easily visualize the dog from phrases like these. The purpose of a breed should al~ays be kept in mind when being judged ~ bred; we may not require our terriers to go to ground or our Salukis to course gazelle but, if true to type, they should have the anatomy to do so. The characteristics we expect in our breeds should reflect their purpose without too much hyperbole. The Dachshund is expected to be "courageous to the point of rashness"; a working badger dog wouldn't live long with that attribute. The Cavalier King Charles Spaniel is required to be "absolutely fearless"; when I was an infantry officer I found men with this characteristic to be not only unbalanced but a menace. We expect a lot from our dogs but must be reasonable about it! But we must be reasonable too about the impact of word pictures, both on those misguided souls seeking to exaggerate breed features, and especially, on the breeds of dog which have been physically handicapped by our knowing pursuit of excess in their anatomical form. Why do Pugs and Bulldogs suffer from respiratory problems?,Why do Bassets and Dachshunds have spinal problems? Can a 20-stone Mastiff lead a long healthy life? Pugs and Bulldogs don't have muzzles; Bassets and Dachshunds have extremely long backs; the Mastiff is favoured in massive size, its breed standard demands a massive body, with size greatly desired. If a lack of a muzzle facilitates respiratory difficulties, if excessively long backs produce spinal problems, and unwise great size produces unsoundness, does the wording of the breed standard alone not encourage exaggeration? The propaganda that 'Brussels is threatening our native breeds' is unworthy and undeserved. An alternative headline could be 'Can Brussels make us breed healthier dogs?' 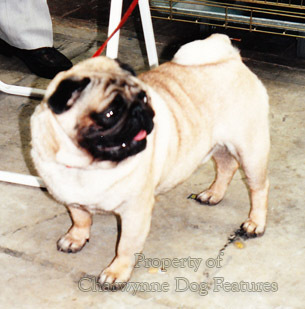 Exaggerated breeds have changed noticeably from the prototypal specimens in those breeds. An accurate headline on this subject could read 'Type in native breeds to be restored'; the shame is that it is taking an edict from mainland Europe to achieve it. We have not been faithful custodians of far too many of our own breeds. Our national body in the world of pedigree dogs has not provided watchful responsible stewardship or inspired guardianship. Manyof our native breeds have been abandoned to the exaggerators. If you wish to rectify the absence of a muzzle in a Bulldog, and therefore the imposition of dentition and respiratory problems, a considerable loss of scenting ability, a rotting fold above the no$e and parturition difficulties, you have to breed for a different skull. The only way to do that is to outcross to another breed or to an improved type of Bulldog. It is the only option. This, rather than altering a traditional British breed, could mean restoring it to its classic form. 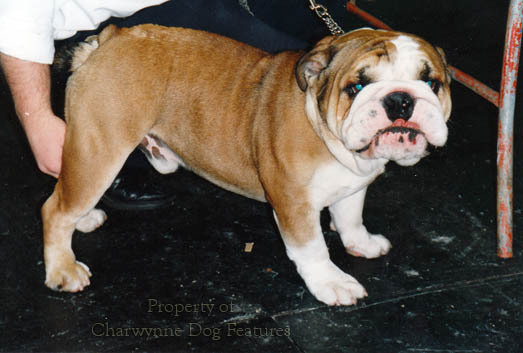 The Regency Bulldog was far healthier than the Victorian Bulldog, when the short face was intentionally bred for. This harmful exaggeration was sought by breed-fanciers, condoned by breed clubs and permitted by a supine kennel club. Another admirable British breed, the Mastiff, was re-created by Victorian fanciers, mainly from alien stock, to resemble not the time-honoured strapping British dog, but an ungainly Alpine Mastiff, quite unlike our breed of previous centuries. You cannot restore the latter by imploring judges to penalise excessive weight and needless bulk. You have to acknowledge how the problem was created at all. You have to face up to what is actually required to breed out giant faults in a breed never intended to be a giant breed by our ancestors. Unless the reality of this whole business is truly faced, we could as a dog-loving natiOn, be utterly humiliated through the mainland European nations reshaping our native breeds for us. Having witnessed a British Bulldog being carried unconscious from a world dog show ring in Brussels a decade ago, from respiratory failings caused by heartless breeders and an equally heartless Kennel Club, I cannot wait to see ETS 125 ratified by our government. We have totally failed to breed some of our breeds with their best interests in mind. I really don't care about breeders' interests. Anyone breeding a subject creature to a harmful design and with built-in handicaps does not deserve support, especially from a government department.